I was straving through the endless internet and just found a picture of a FE, that impressed me a lot. Does anyone know, what kind of FE it is and may be is some one able to translate the markings? Re: Which FE2b is this? Sorry Manni but I do not have an answer, just wanted to thank you for posting such a cool FE. Wakamiya (Japanese: 若宮丸, later 若宮艦) was a seaplane carrier of the Imperial Japanese Navy and the first Japanese aircraft carrier. She was converted from a transport ship into a seaplane carrier and commissioned in August 1914. She was equipped with four Japanese-built French Maurice Farman seaplanes (powered by Renault 70 hp (52 kW) engines). In September 1914, she conducted the world's first naval-launched air raids. 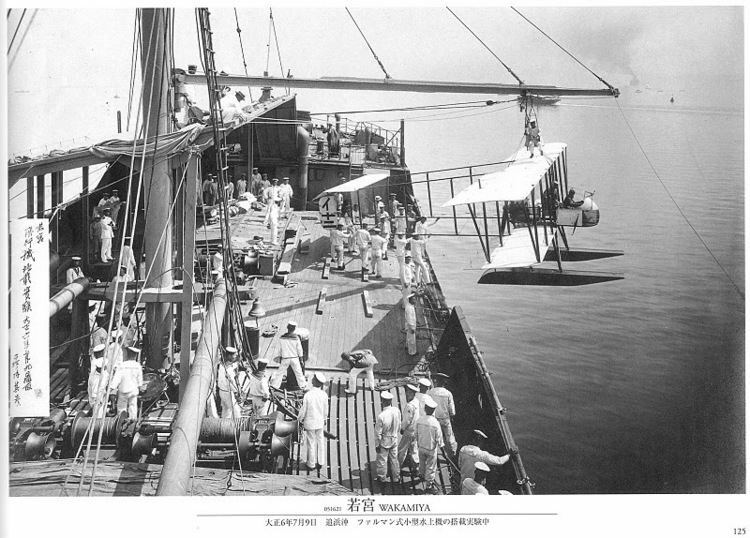 From 5 September 1914, Wakamiya conducted the world's first naval-launched air raids during the first months of the First World War from Kiaochow Bay off Tsingtao, which is located in China. 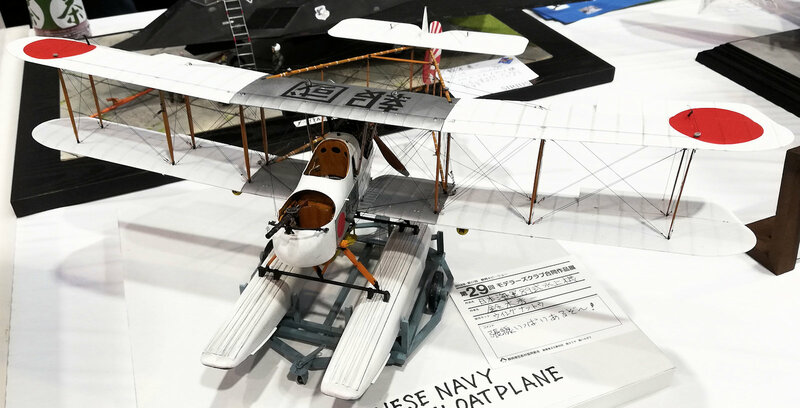 On 6 September 1914 a Farman aircraft launched by Wakamiya attacked the Austro-Hungarian cruiser Kaiserin Elisabeth and the German gunboat Jaguar in Qiaozhou Bay; neither ship was hit. Her seaplanes bombarded German-held land targets (communication centers and command centers) in the Tsingtao peninsula of Shandong province and ships in Qiaozhou Bay from September to 6 November 1914, during the Siege of Tsingtao. Wow! What a great knowledge of this period! Thank you James for your response and this great background.